that you were able to rethink everything you knew about the universe, the laws of nature, your own consciousness, and the very idea of existence and reality. Imagine the new insights you will gain, the fresh perspective with which you will embark on the journey of life each morning. For scholarships please contact Rabbi Slavin: 905-268-4432. A project of the Miriam and Larry Robbins Educational Institute. This course is dedicated in honour of the 10th Yahrtzeit anniversary of Miriam Robbins z”l. 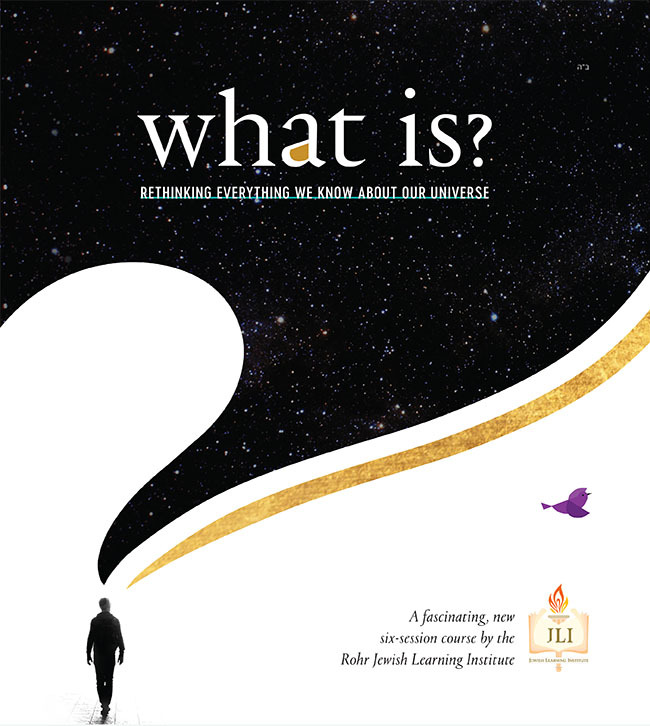 What are we talking about when we talk about G‑d? Is “G‑d” just a word we use when we can’t explain something? If G‑d cannot be explained or described, does this not render the concept of “belief in G‑d” completely meaningless? If G‑d already knows what we will do tomorrow, is our “free choice” nothing more than an illusion? And with so many powerful influences outside of our control—or even our awareness—influencing our choices, how “free” could they possibly be?